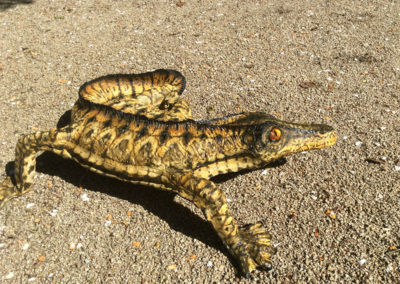 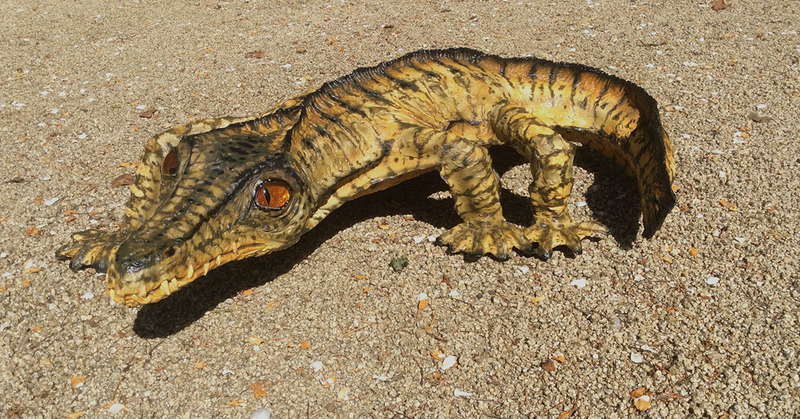 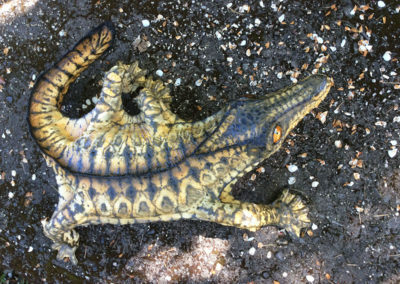 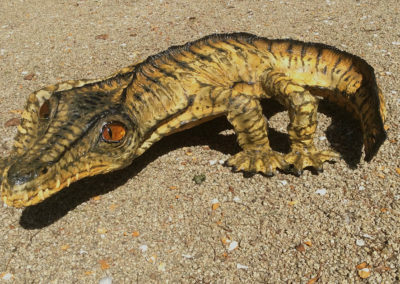 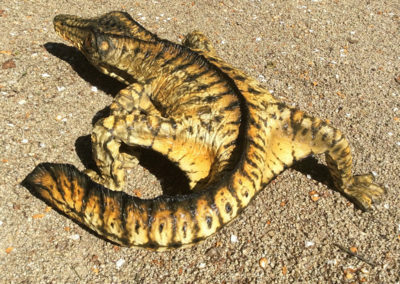 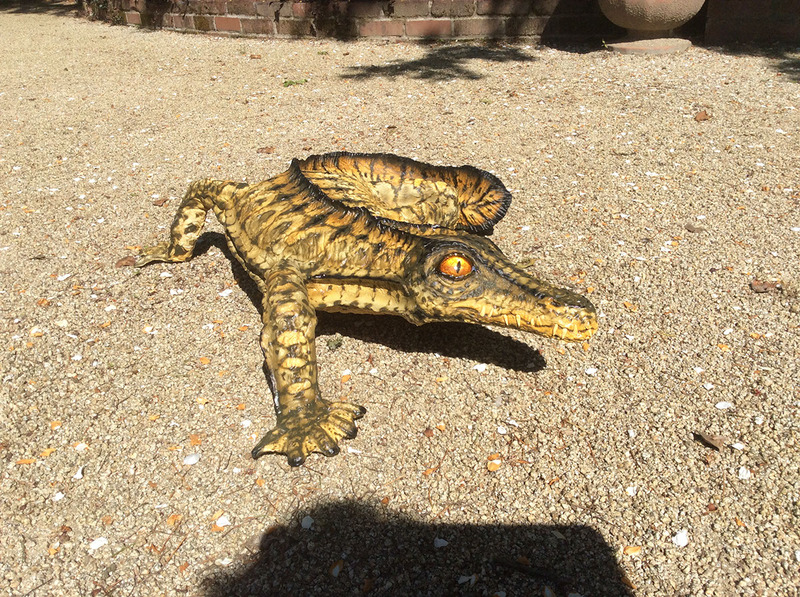 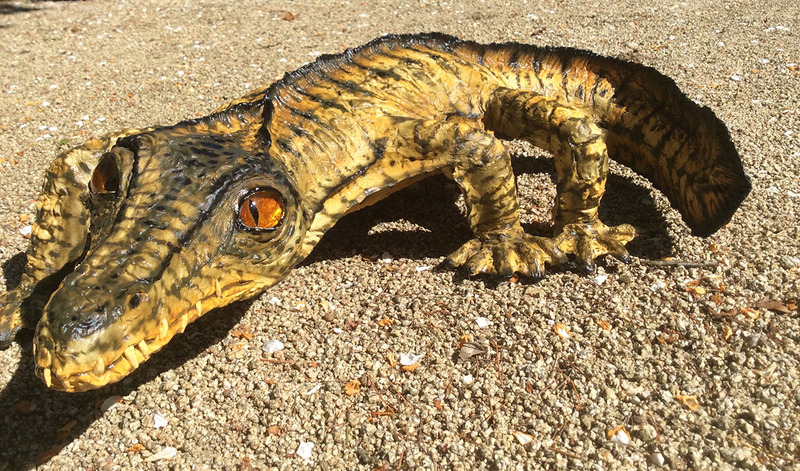 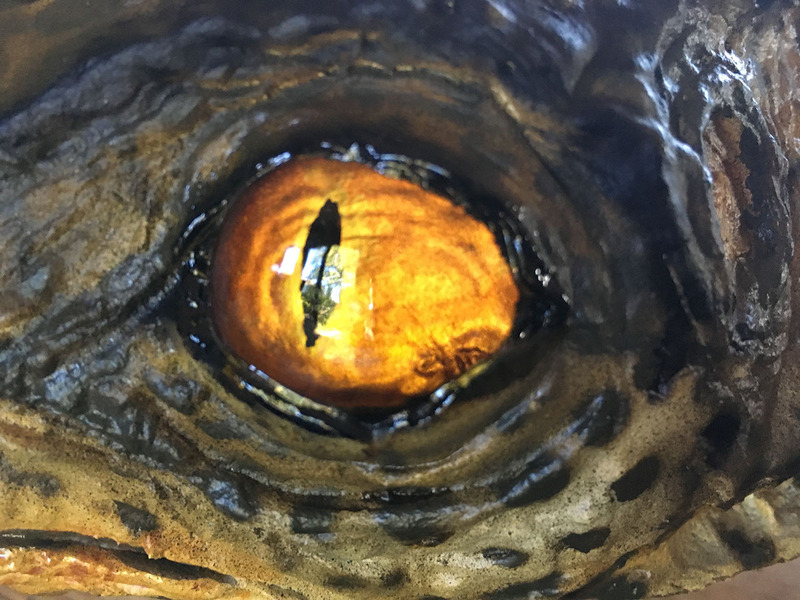 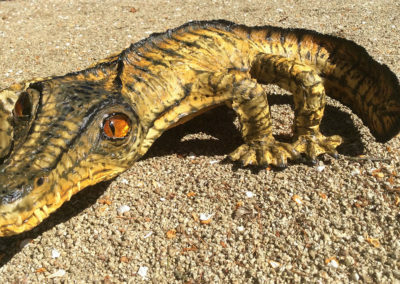 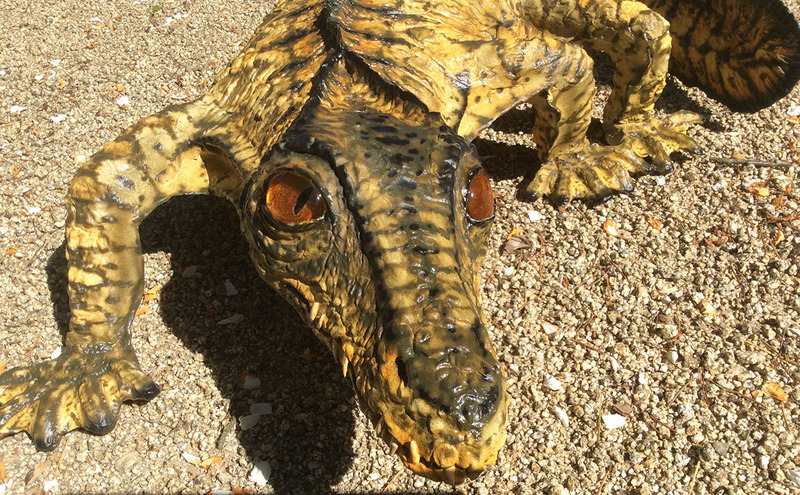 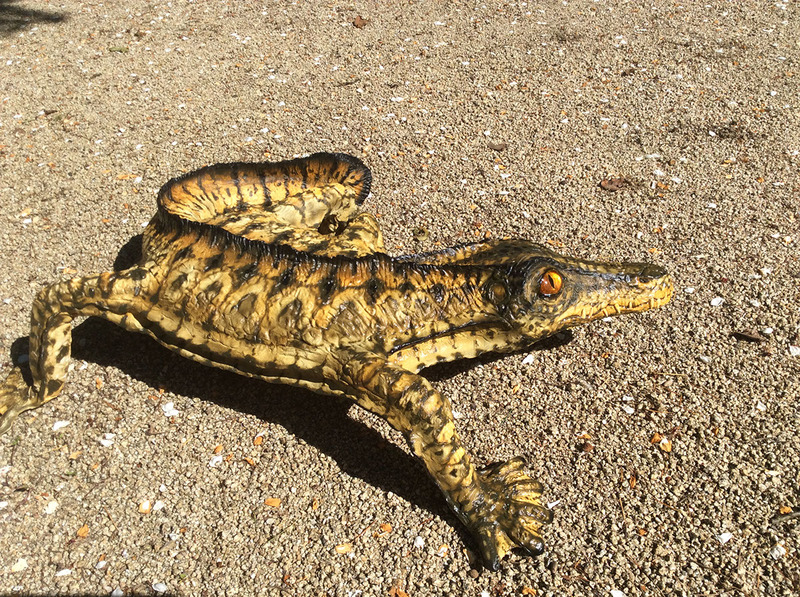 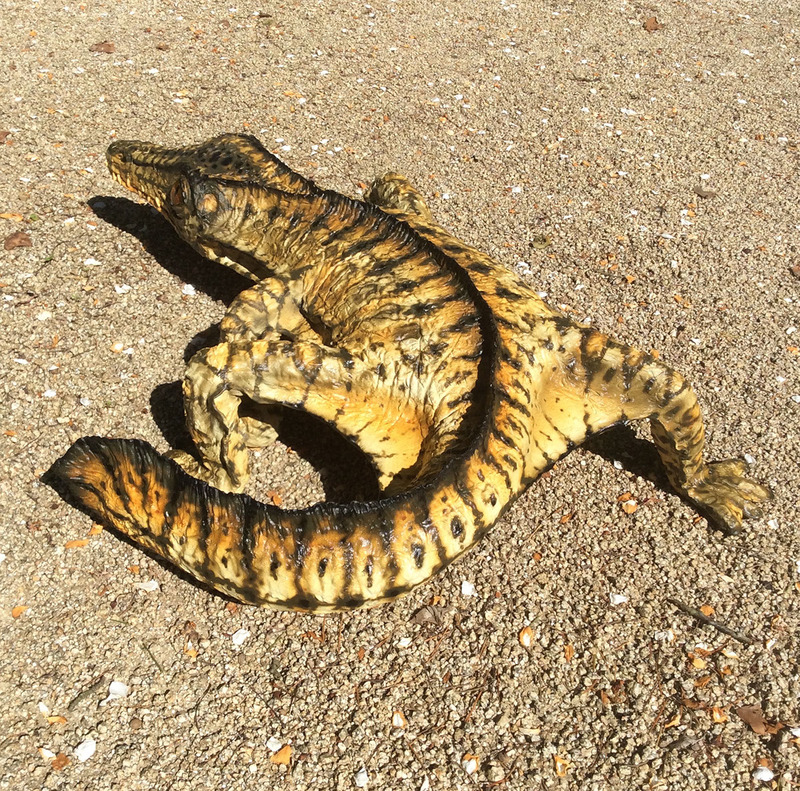 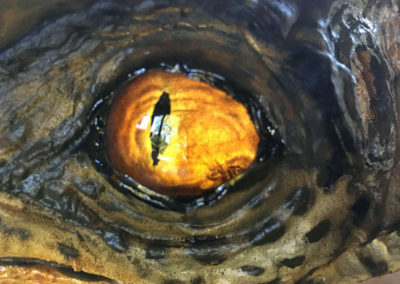 The tagleko is a sort of a crocodile in amphibian clothing, a low-lying toothy critter. I tend to have a bunch of “stuff” lying around the shop and I found the upper half of a foam Taxidermy head for a small black bear. 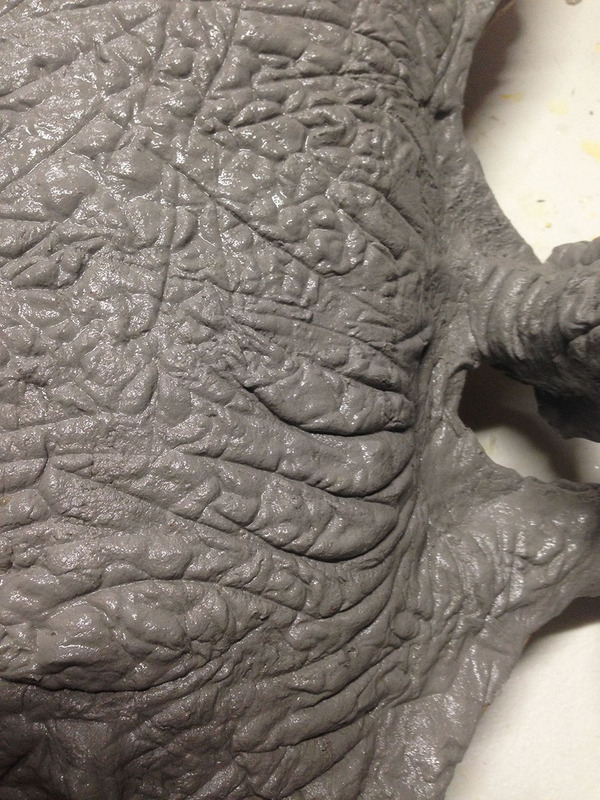 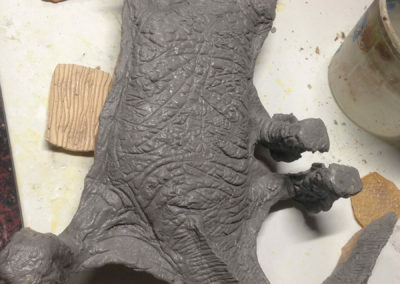 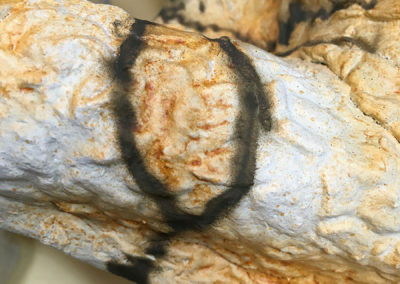 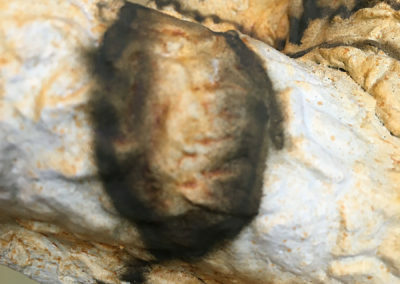 I knew I would never use it as a bear head, so I started carving it down with a big knife and that’s how this creature began. 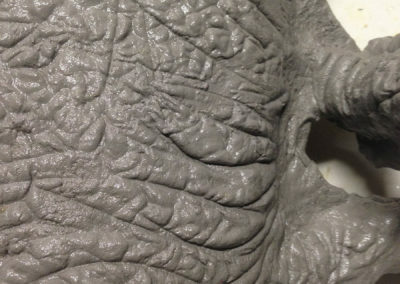 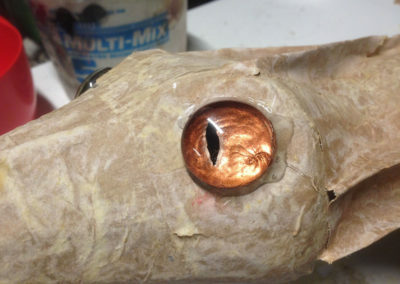 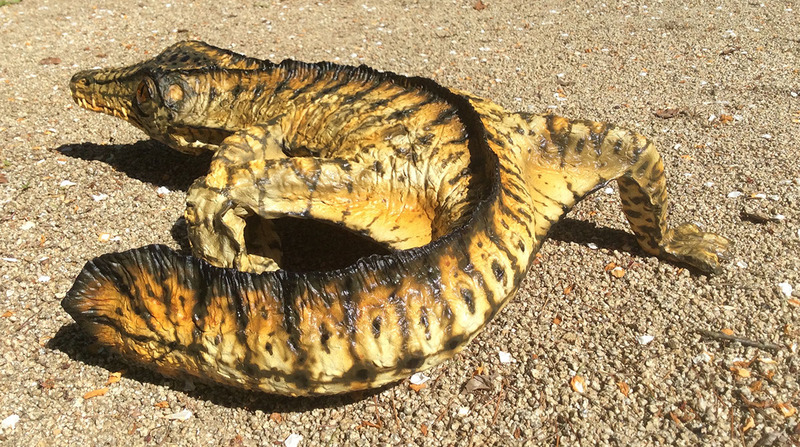 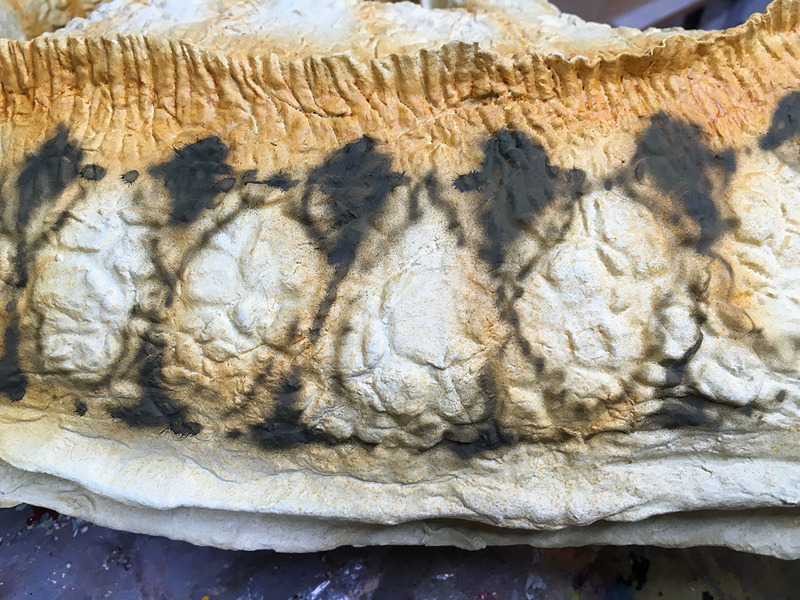 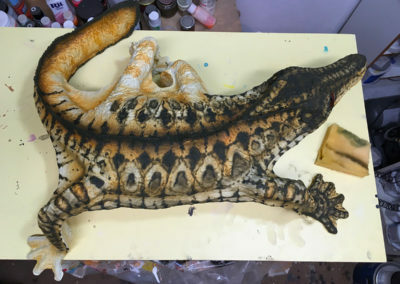 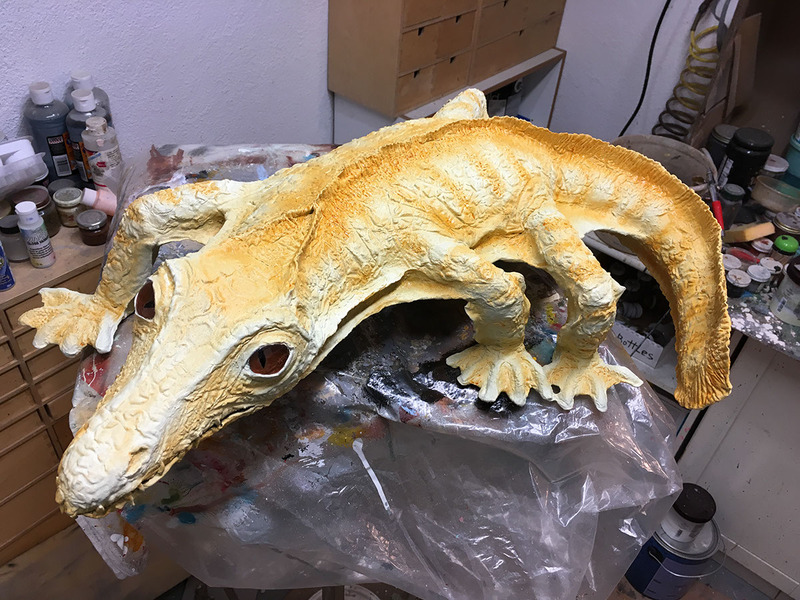 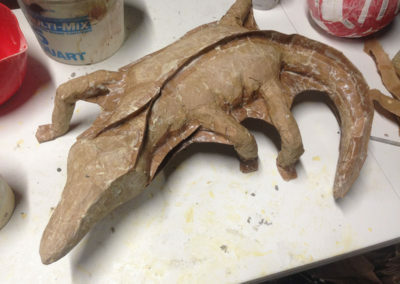 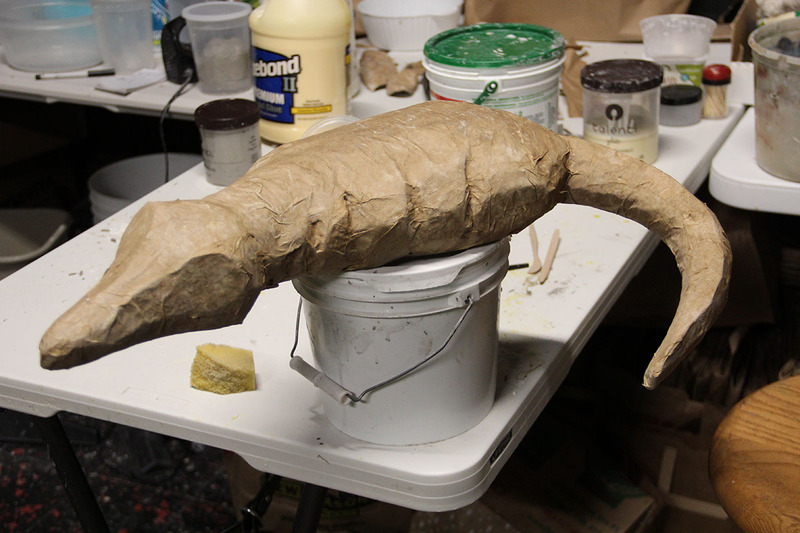 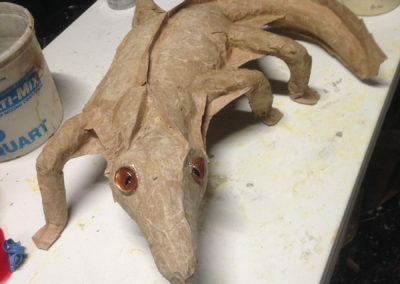 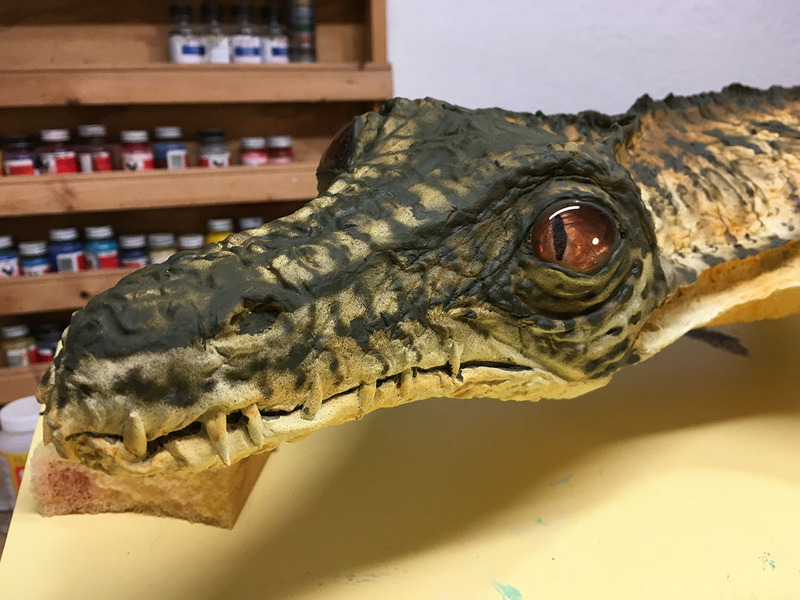 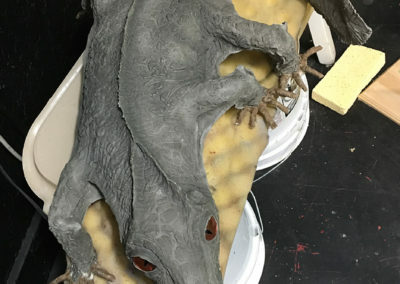 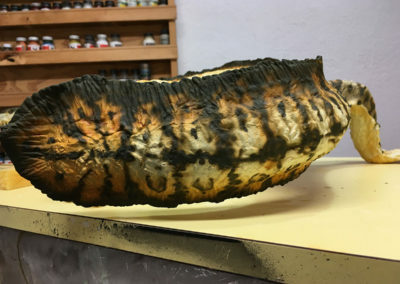 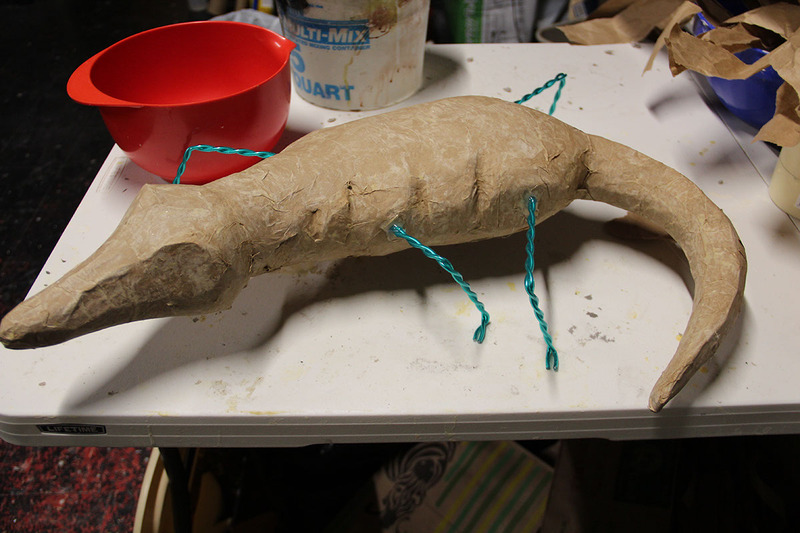 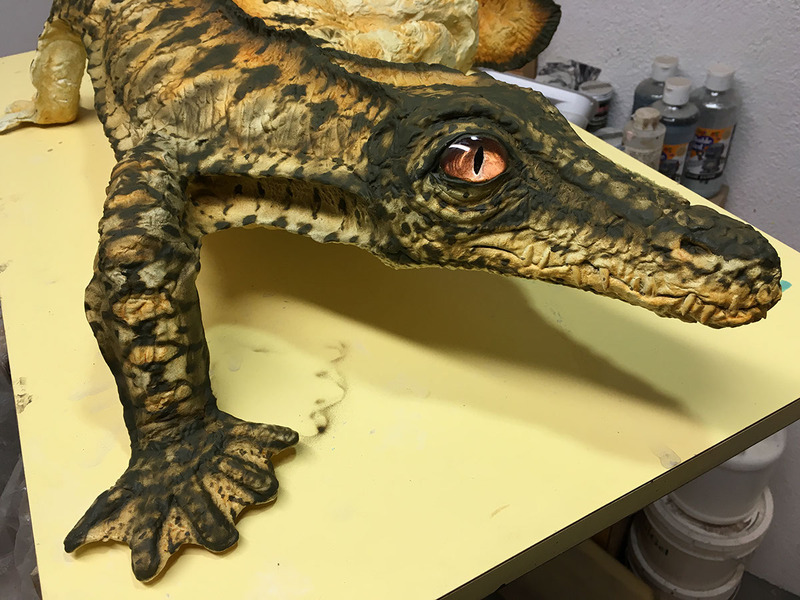 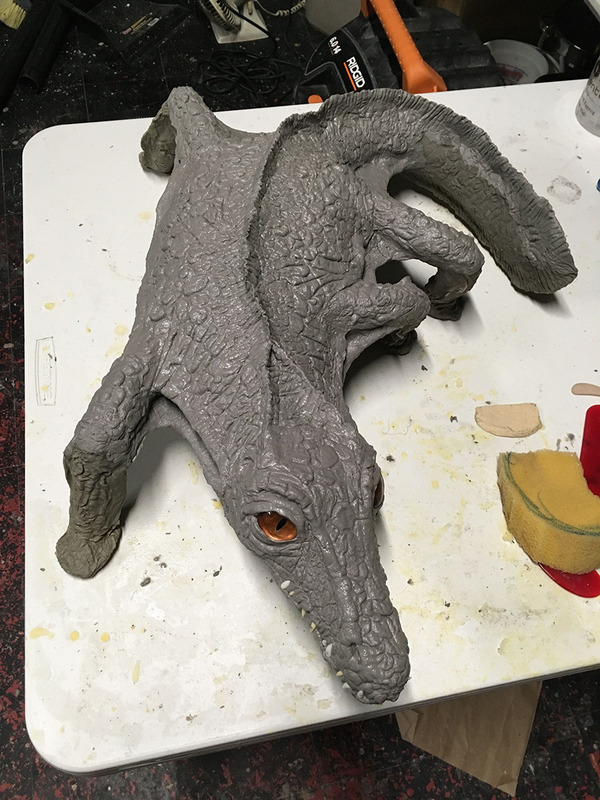 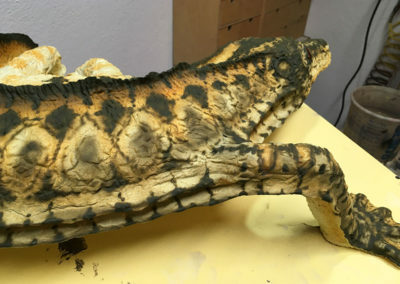 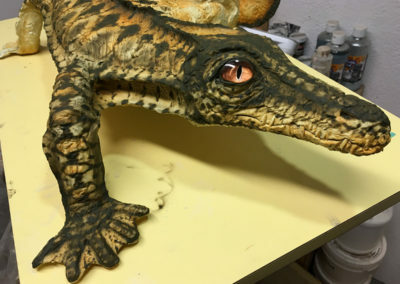 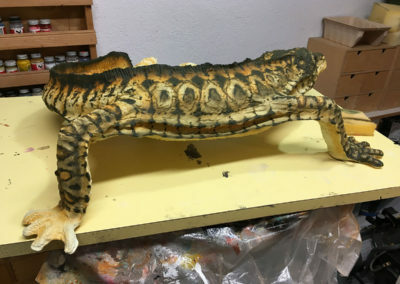 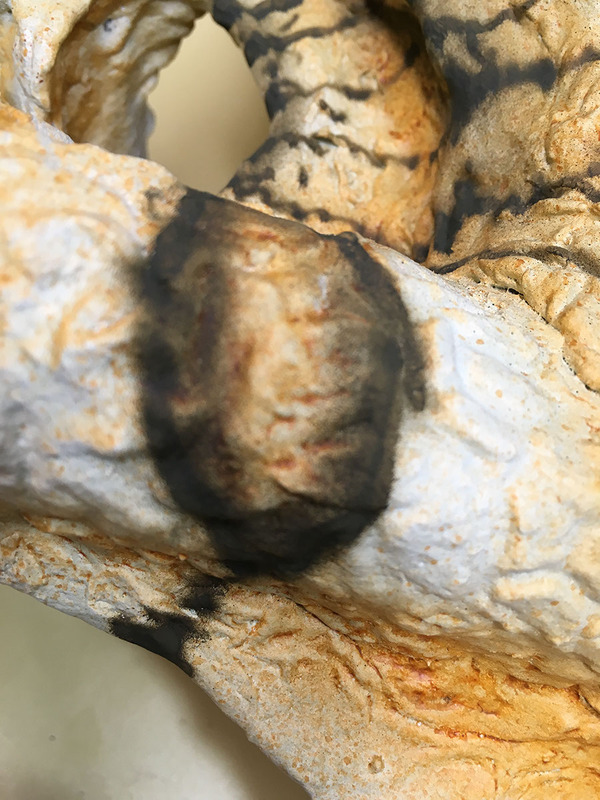 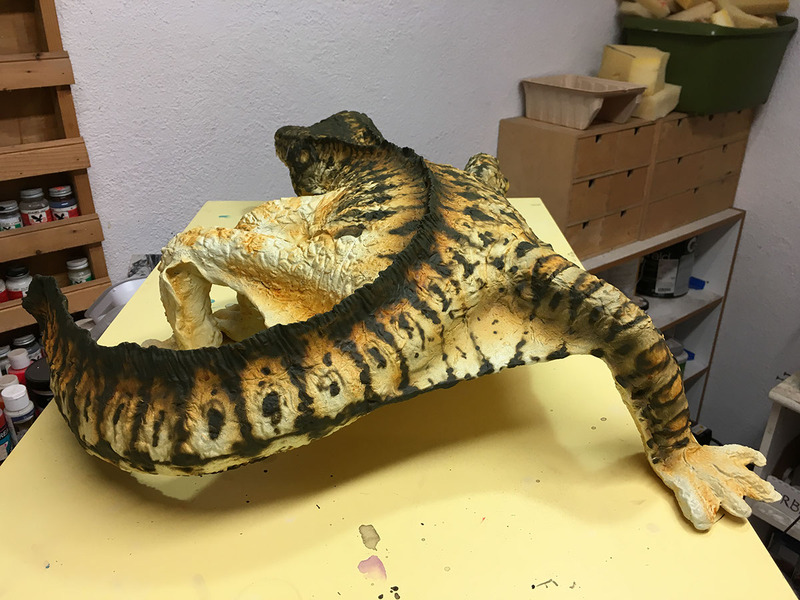 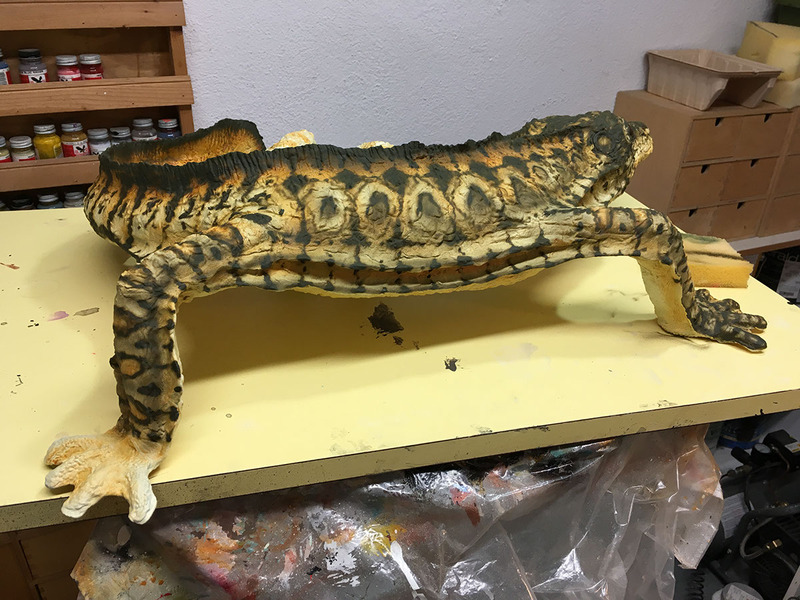 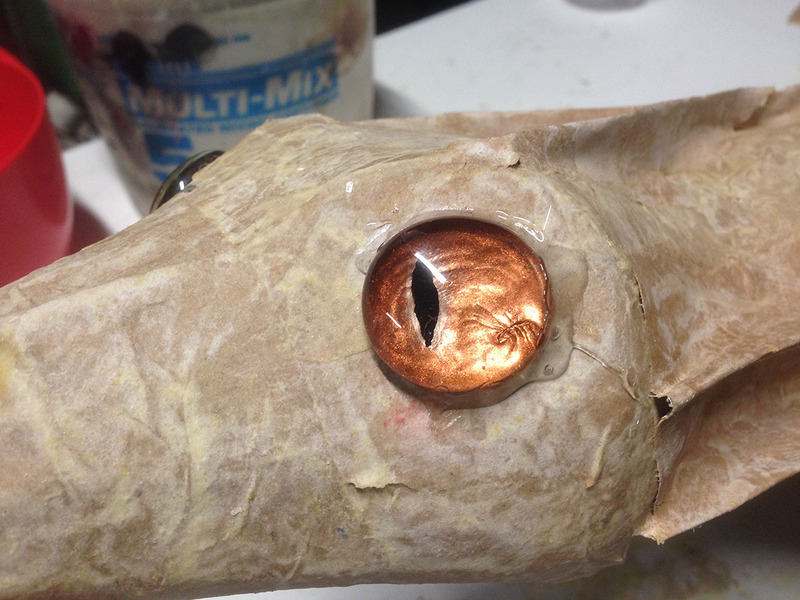 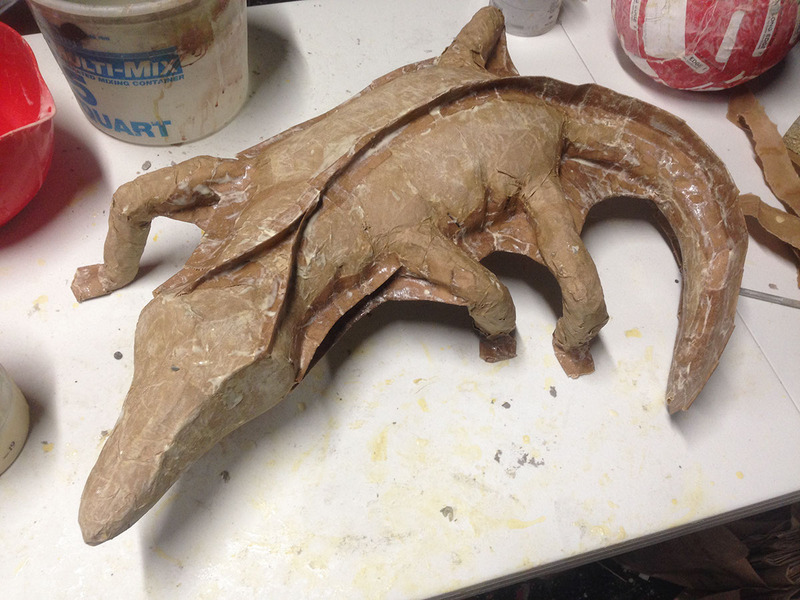 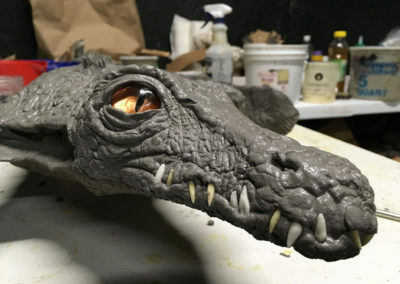 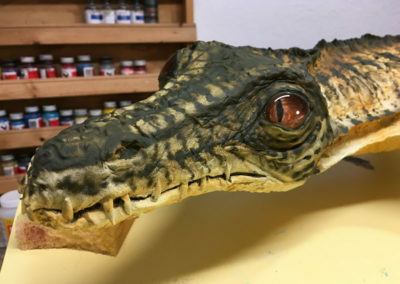 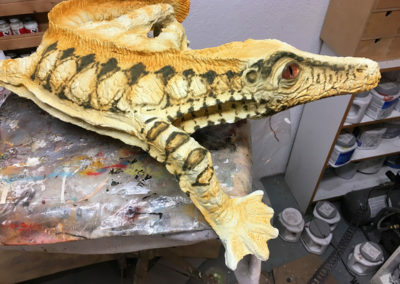 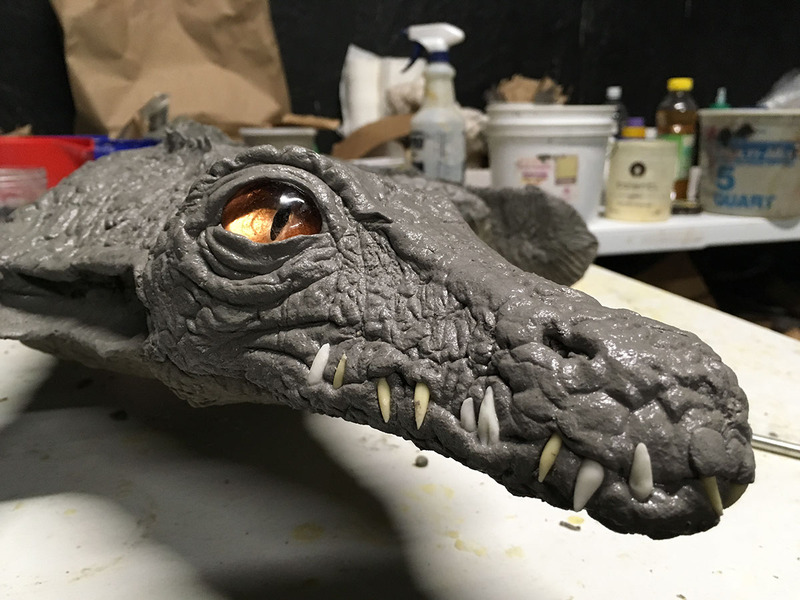 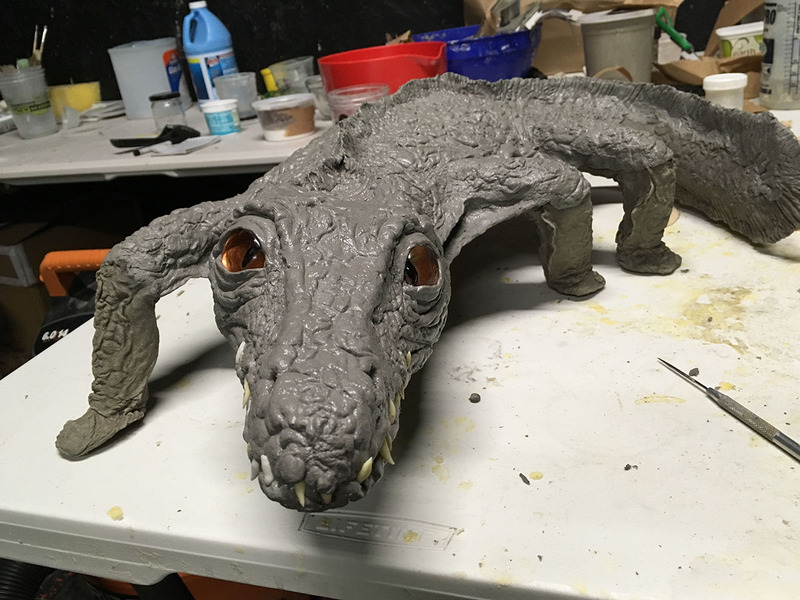 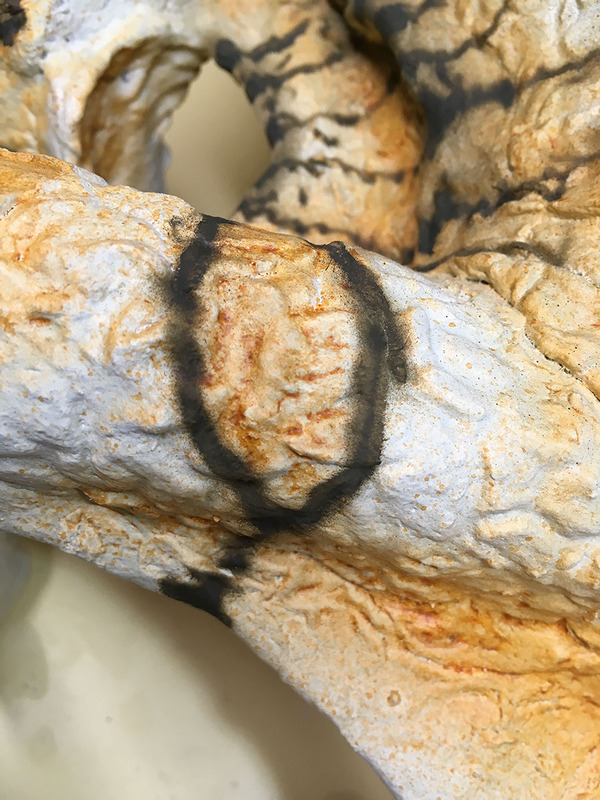 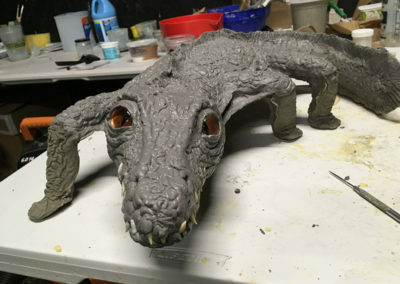 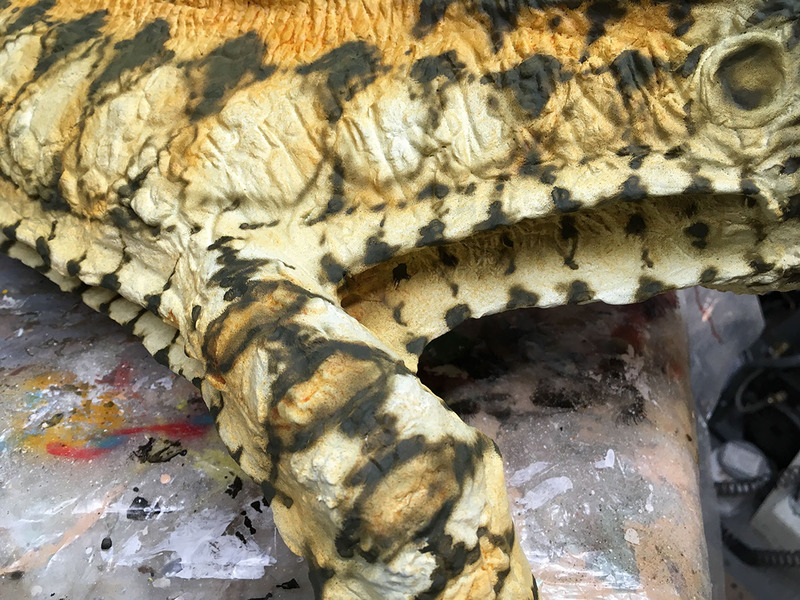 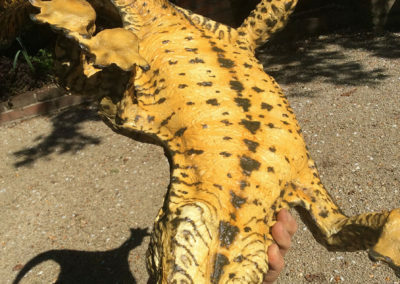 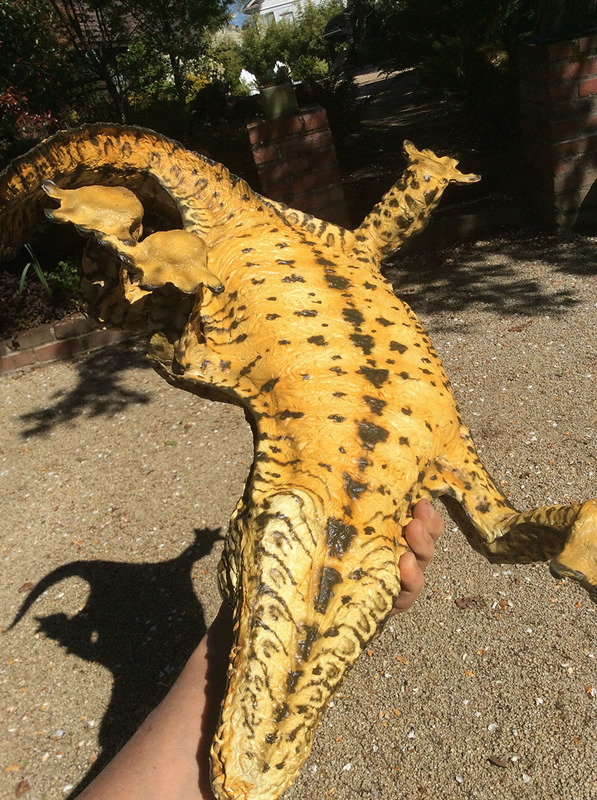 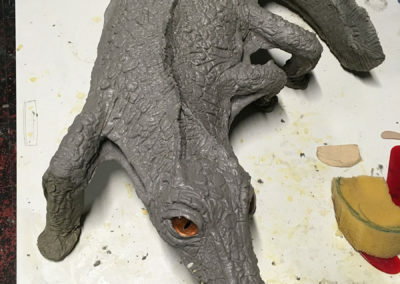 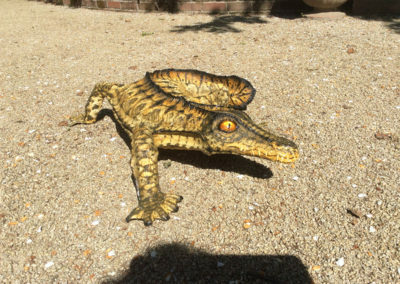 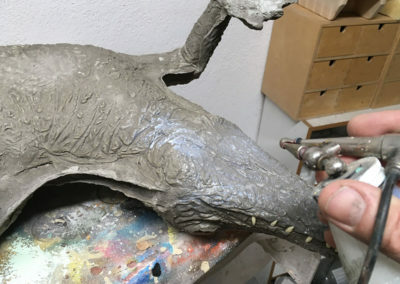 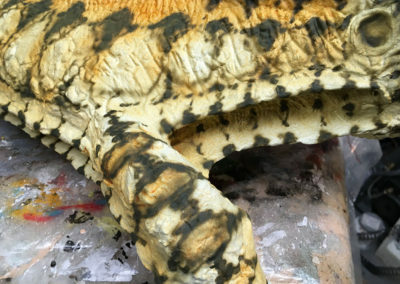 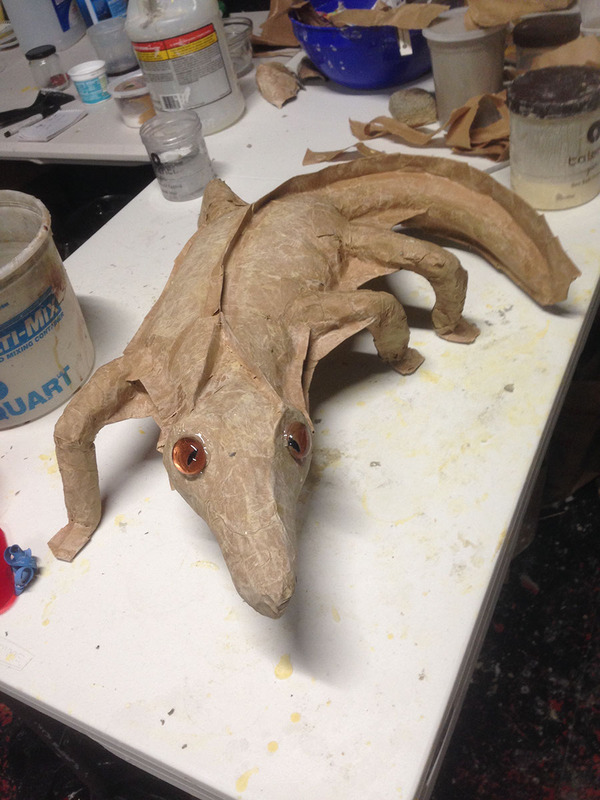 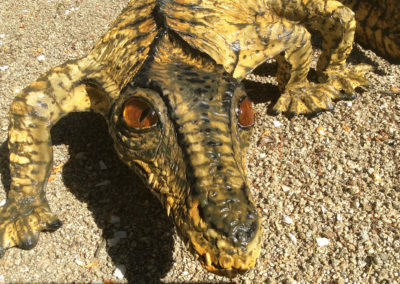 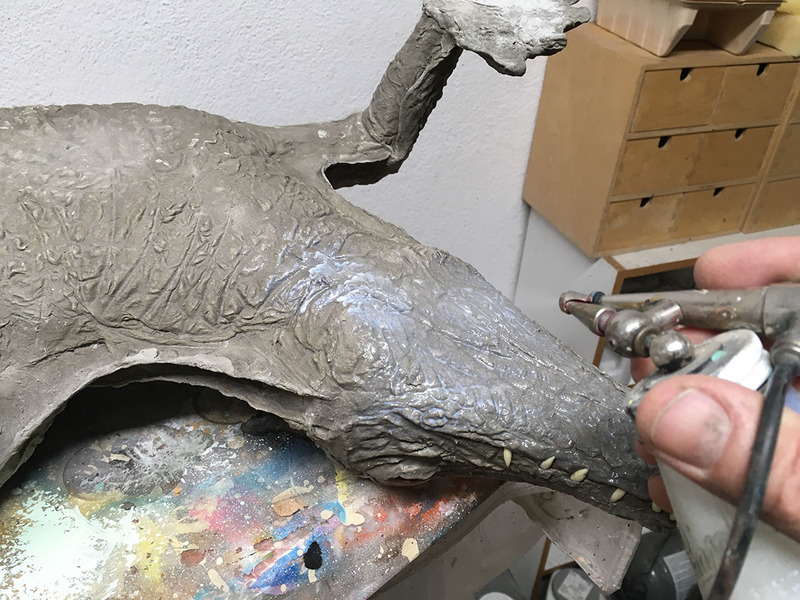 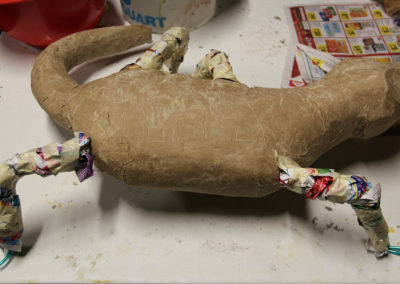 As is often the case with my paper mache creature making, I had no idea what kind of creature I was making at the start. 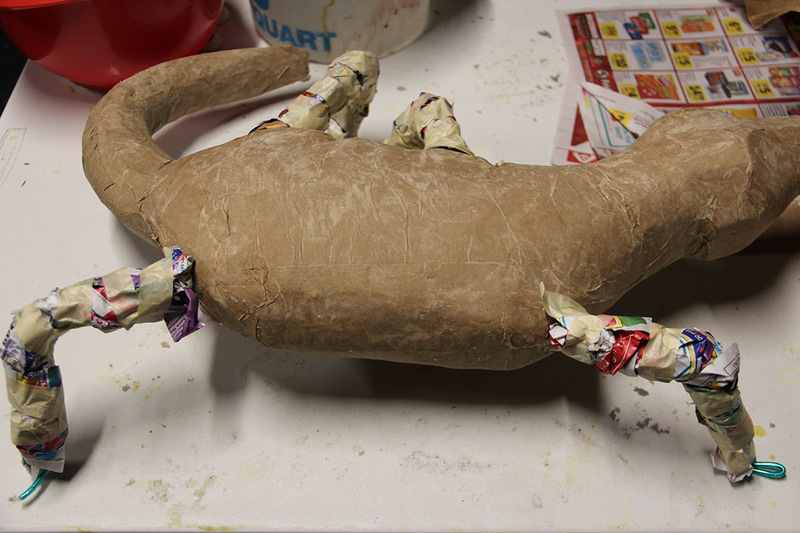 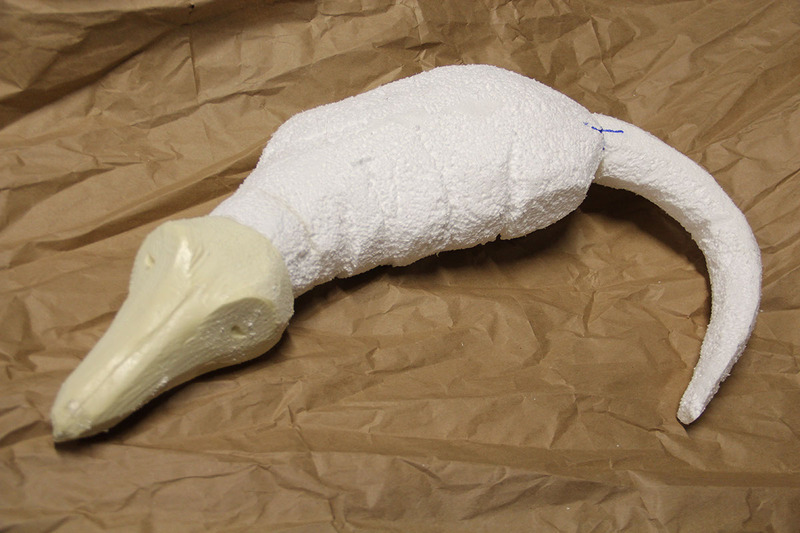 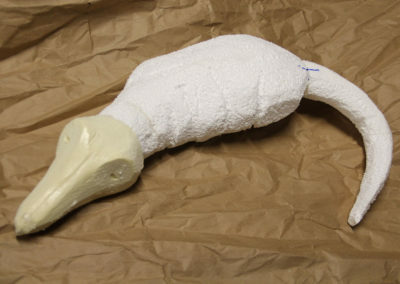 I found a couple of blocks of polystyrene foam for the body and tail and I was off and running! 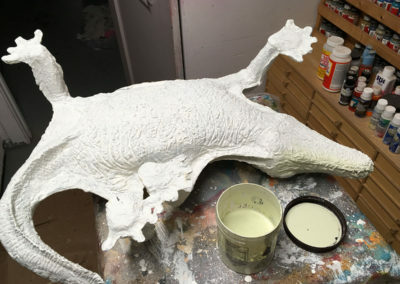 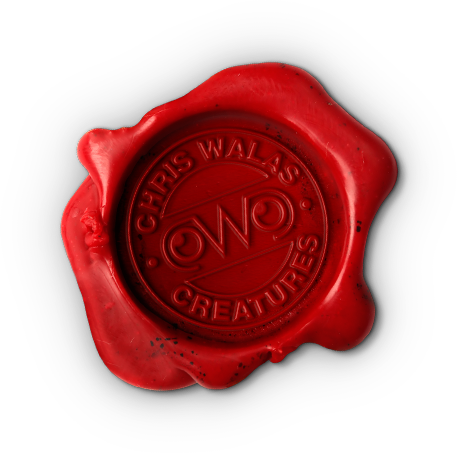 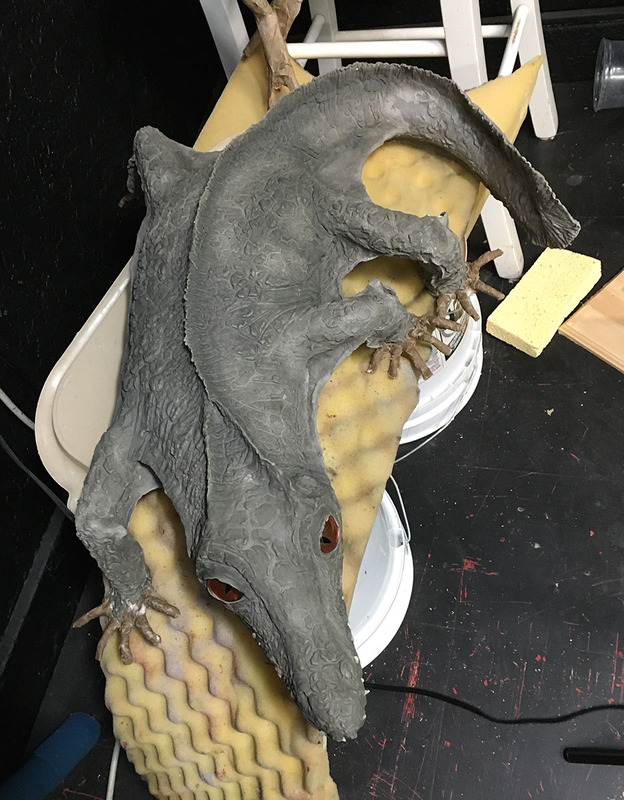 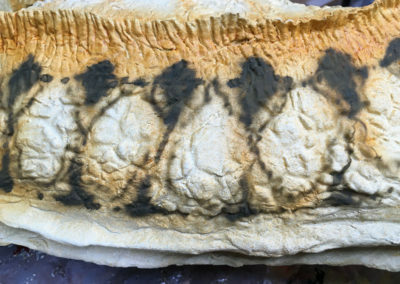 At first I was thinking of some sort of rat-like vermin or maybe a strange bird, but as I shaped the body foam, something cried “amphibian” to me. 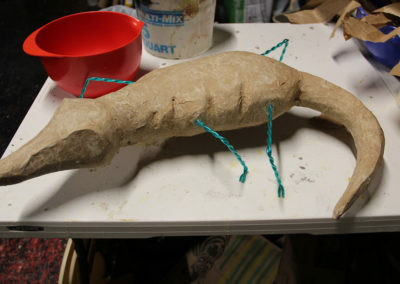 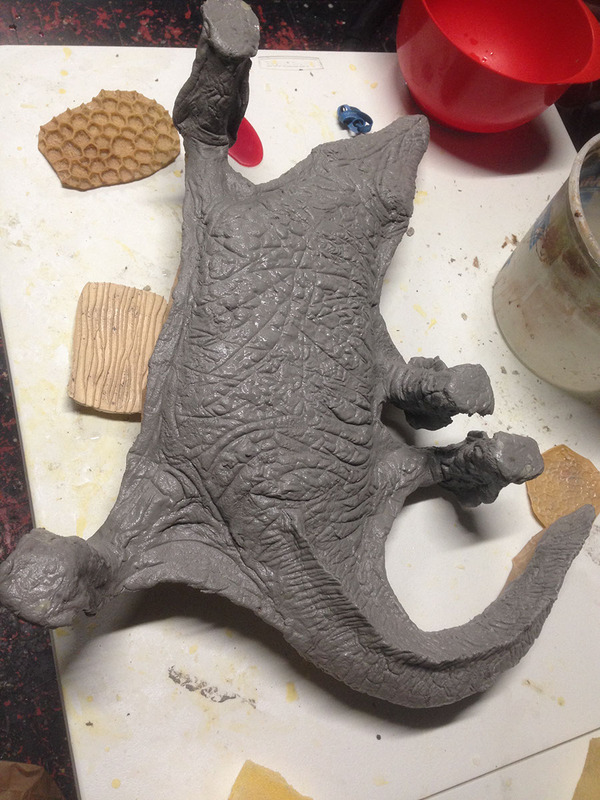 I angled the head and tail to one side both for a more natural pose and also to take up less floor space length-wise. 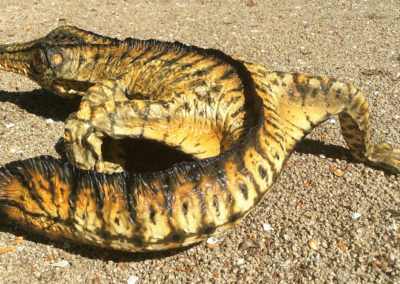 This was literally the difference between a two-foot length and a three-foot length.